Cathedral High School in El Paso, TX, will undergo leadership transitions starting July 1, 2014, as the school adopts a president-principal administrative model. 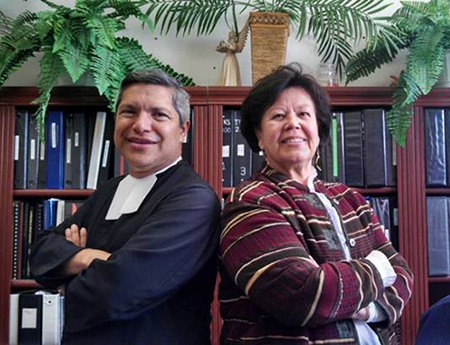 Current Principal Brother Nicolas Gonzalez, FSC, has been appointed president, and current Assistant Principal Mrs. Aurora Lujan has been appointed principal. Brother Nick has served as Cathedral’s principal since January 2011. His previous experience includes principal of San Miguel High School in Tucson, AZ, and teacher at St. Michael’s High School in Santa Fe, NM, and St. Joseph’s Elementary School in Denver, CO.
Lujan is in her 23rd year at Cathedral. She first served as a science teacher and has been assistant principal since 2003.